I'm sure that most of you have experienced the feeling of having to be somewhere by a certain time, only to get on the road and face terrible traffic and road closures due to car accidents. A question that I get asked frequently is "which car is at fault for my car accident?" While in some scenarios, the answer is easy, usually the answer is...it depends. I'm sure that most of you have experienced the feeling of having to be somewhere by a certain time, only to get on the road and face terrible traffic and road closures due to car accidents. Thankfully, most accidents are minor and involve only property damage and some minor clean-up of the roads. However, during the summer when the weather is beautiful, we tend to see more serious accidents where high speeds combined with distracted driving result in tragic consequences. A question that I get asked frequently is "which car is at fault for my car accident?" While in some scenarios, the answer is easy, usually the answer is...it depends. After a collision, insurance companies determine the fault of each party in order to establish which property damage policy applies. In Ontario, if a driver is found to be over 25 per cent at-fault for an accident, their premiums will likely increase. Keep in mind that insurance follows the owner of the vehicle so when you lend someone your vehicle, you are also lending them your insurance. To simplify the determination of fault in Ontario, the Insurance Act and the Fault Determination Rules are used for consistency. To use these Rules, simply look at which scenario best matches the accident. Where no scenario matches or there are distinguishable elements, reference would be made to common law principles of negligence. In personal injury actions where liability is split, the award of damages will also be reduced accordingly. Let's start with the easier answers first. In most rear-end situations, if you are the vehicle who has been rear-ended, you are not at fault. However, say you are in a chain rear-end situation. If you were stopped at the time, you are likely not at fault. 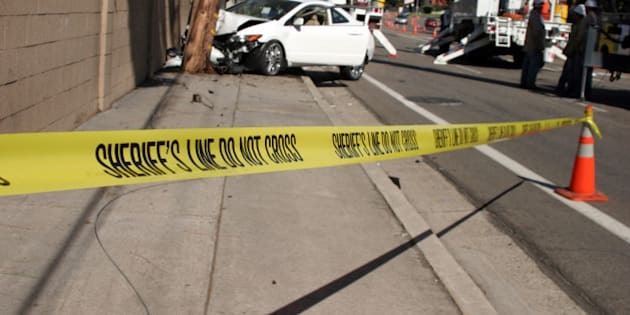 However, if you were in motion and a car struck you from behind, which caused you to strike the car in front, you would be 50 per cent responsible for striking the car in front, but 0% responsible for the car behind you having struck you. A diagram has been included in the Fault Determination Rules for greater clarity. This is where it gets tougher. Generally speaking, the vehicle making the left has an obligation to ensure that there is no oncoming traffic before proceeding to turn, as indicated in the Fault Determination Rules. However, the behaviour of the other driver may have an impact on how liability is split between cars. For example, if the forward proceeding vehicle ran a red light, some liability may be attributable to that vehicle. However, the colour of lights tends to be a highly contentious issue between drivers and independent witnesses are helpful in this regard. On that note, I would also recommend having a dashcam -- they're relatively inexpensive now and can be an invaluable tool in proving liability. When vehicles come to a stop at a stop sign, the car that stops first has the right of way to proceed first and would not be liable if the cars collided. If both vehicles stop at the same time, the vehicle to the right can proceed first. If the issue of who stopped first cannot be determined, then liability is usually split 50/50. Contrary to popular belief, there is no automatic 50/50 split on liability when accidents occur in parking lots. Normal traffic rules apply. If your vehicle is parked when it is struck by another vehicle, the other vehicle is at-fault. If a vehicle proceeds from a feeder lane and fails to yield right of way to a vehicle proceeding on a thoroughfare, that vehicle is likely at-fault. Likewise, if a vehicle is leaving a parking space and strikes a vehicle proceeding on a lane or thoroughfare, the vehicle leaving the parking space is at-fault. If you are a passenger in a vehicle, absent unusual circumstances (i.e. distracting the driver), you are not liable for the accident. If you initiate a personal injury lawsuit, you could potentially sue the drivers and owners of the vehicle you are in, as well as other vehicles involved in the accident for the injuries and losses you've sustained. Charges by police, while helpful, are not determinative in assessing fault. Even if no charges are filed, this does not necessarily mean that the parties are not at fault, for the purposes of insurance and personal injury litigation. Remember that regardless of fault, if you have been injured in a car accident in Ontario, you can always apply for Accident Benefits. These benefits will provide you with income replacement, coverage for out-of-pocket expenses, medical treatments, rehabilitation, attendant care, housekeeping and/or caregiving benefits while you recover. For reference, the Financial Services Commission of Ontario has put together an excellent online brochure that answers many common questions on how to assess fault in motor vehicle accidents and the complaints procedure if you disagree with the insurer's assessment of fault.